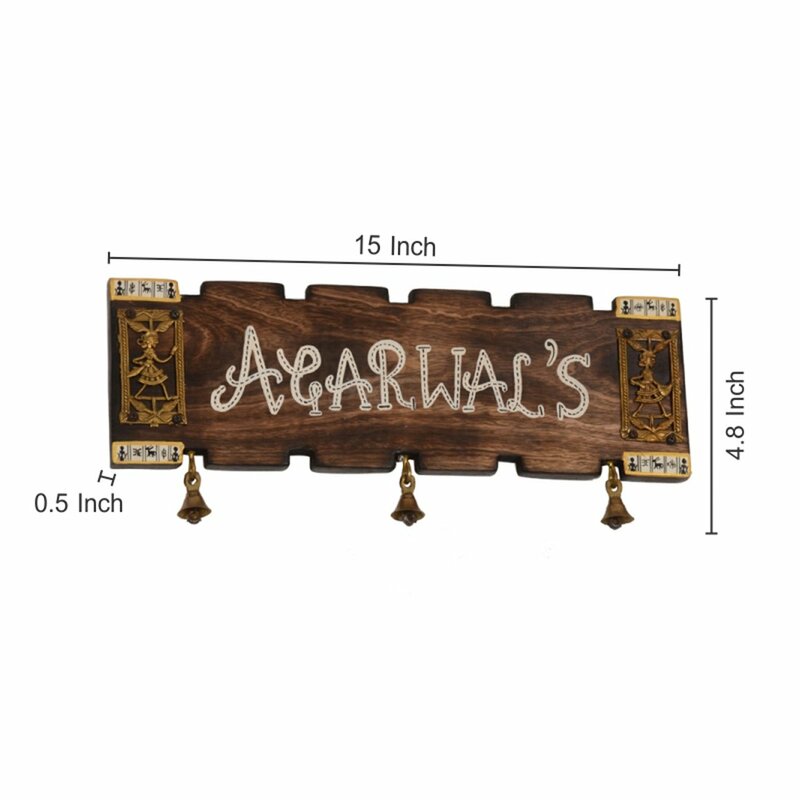 Warli Nameplate – Dhokra Nameplate with Warli Artwork. 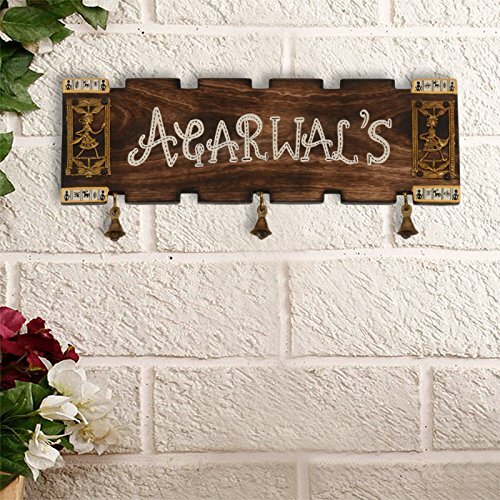 This classic customizable name plate with Dhokra figurine and miniature warli handpainting at the border will definitely accentuate the beauty of your home entrance. 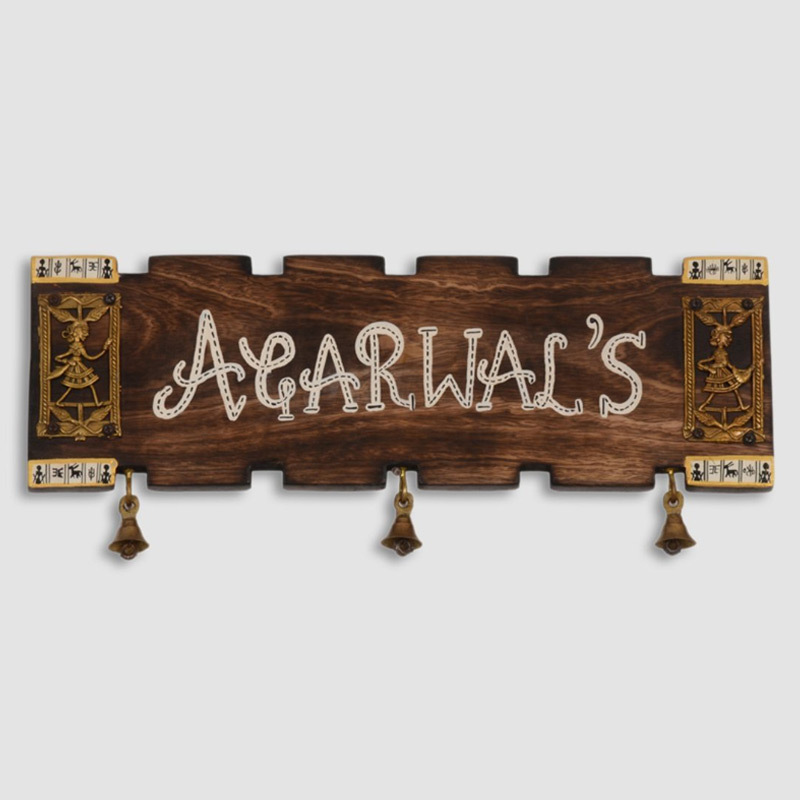 The text has be hand written beautifully on the name plate with white color and with black dotted line inside the text. This will defnitely be a piece of attraction for your guests. Ideal gift for someone’s house warming party. ART TYPE: Dhokra and Warli art. CARE INSTRUCTIONS: COD is not available on this product as this is a customised product. As it is a customized product it will take 15 days for delivery.. NOTE: 1) As the font is handwritten there might be a slight variation in the font style. 2) Once your order is confirmed, our customer care team will call you within 48 hours to enquire about the name to be put on the name plate. 3) Since the product is customizable, the delivery period for it will be 15 days.. MATERIAL: Base: Mango Wood, Dhokra Figures : Brass. DIMENSION: (L * W * H) = (15 * 0.5 * 4.8) Inch. COLOR: Brown.